Shaw Family Chiropractic | New Patient Web Special | Get Relief Today! You’ve Gotta See My Chiropractor! ★★★★★ “I like the fact that I don’t need an appointment and can just drop in when I am nearby.” -Augie S.
★★★★★ “I’m amazed Doc – I have not been sick (aside from minor sinus/cold issues) since I started seeing you almost 2 years ago.” -Greg G.
*First time clients only. Medicare, Medicaid, Personal Injury & Work Comp cases excluded. Dr. Robert Shaw is a New York Chiropractic College graduate and has been serving Southington, CT and it’s surrounding towns since 1994. While a junior at UConn, he found relief from a chronic reflux condition with ‘old school’ Chiropractic care and now helps patients get their health back in return in the same manner. He manages and provides all aspects of care at Shaw Family Chiropractic, so you’re guaranteed to get his hands every time you stop in for an adjustment. Dr. Rob takes care of moms, dads and kids of all ages. Some people go because of aches and pains – others because they want a better, natural way to fix their chronic health problems. They also see a range of problems – from simple back and neck pain issues to more complicated organic issues like migraines, allergies, digestive problems, sciatica, disc disease and much more. Unlike other offices that require appointments, established patients simply ‘drop in’ during normal business hours and are seen first come, first served. You’ll never wait more than 5-10 minutes to see him either. Dr. Rob practices Zone Technique, a healing method developed by Dr. Thurman Fleet that gets great results in the shortest time possible. He doesn’t believe in lengthy treatment plans or unnecessary therapies. No, not at all – Dr. Rob will tell you up front if he can help you or not. If you take advantage of their $97 New Patient Web Special you can see for yourself – you have nothing to lose and only relief and comfort to gain. I didn't have a single headache again for months. He knew all my trouble spots before I could even explain it. Love that no appointments are needed, just walk in. He is friendly, thorough, and really listens to his clients... I'll never go to another chiropractor! Little by little, day by day, week by week, my body is reclaiming what belongs to it - health. 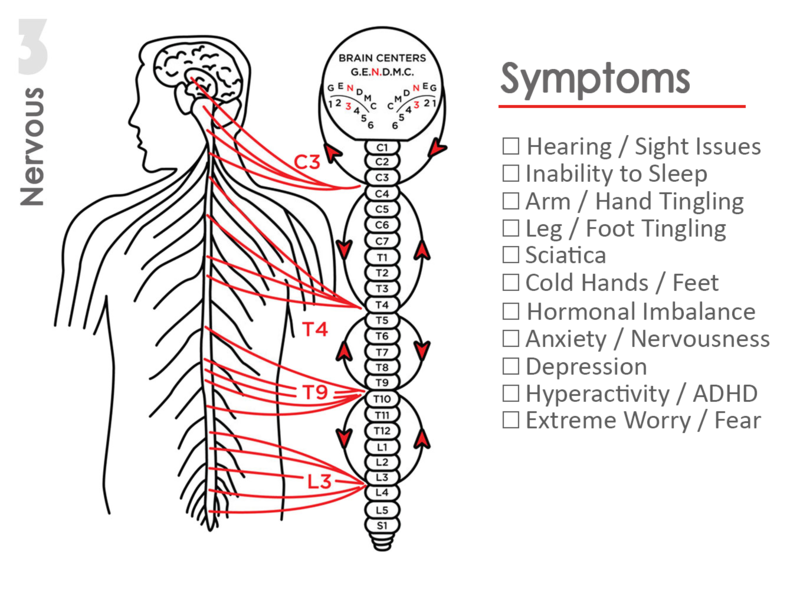 There are only 6 kinds of disturbances that can affect the human body. 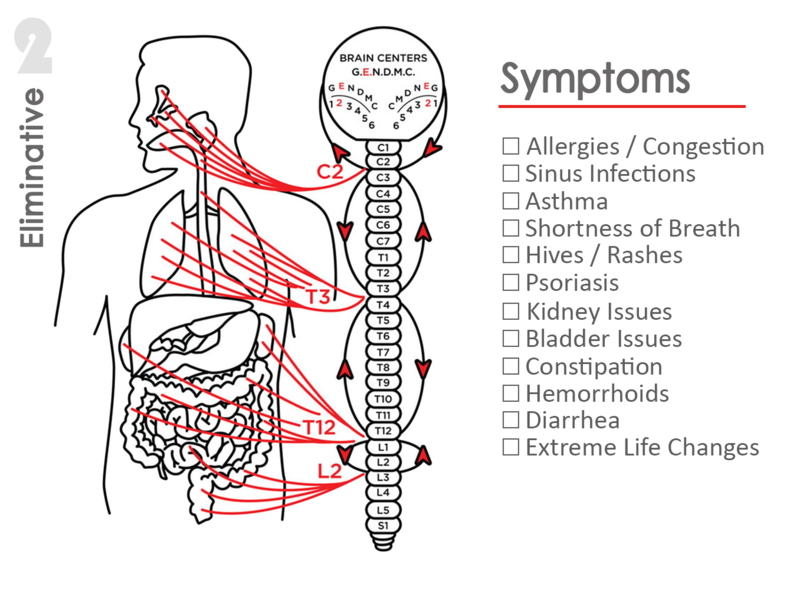 They are disturbances in the GLANDULAR, ELIMINATIVE, NERVOUS, DIGESTIVE, MUSCULAR & CIRCULATORY systems or Zones. 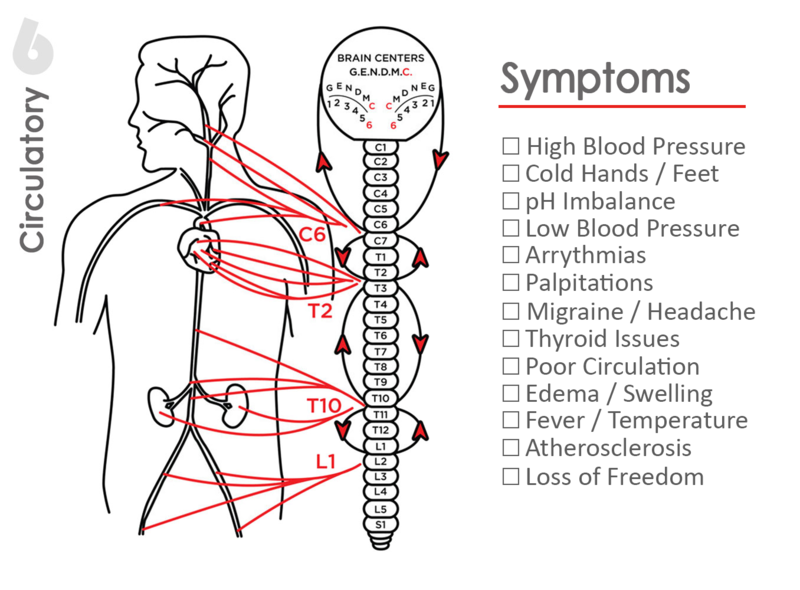 Virtually all diseased conditions, aches and pains and other discomforts experienced by the body can be traced back to an imbalance in one or more of these Zones. With Zone Technique, Dr. Rob will re-adjust your stressed Zones and bring your body back into its designed balance – you’ll experience how a balanced body works and feels better than yours does now. If you have insurance, they'll check your benefits before charging you for anything.You might find out (like many of their clients who have Obamacare plans) that their fees are actually lower than your contracted out of pocket rates. If you have a high deductible or an HSA account they'll work to find the most affordable options for you. Start saving now by booking a $97 New Patient Web Special (normally $150). What are their normal fees? First visit fees are normally $150 (includes consult, exam, any diagnostics and first adjustment). Follow up office visits are $45. If you’re looking for affordable wellness care for your whole family, ask about their Chiro-Choice package plan for more savings. .
Dr. Robert Shaw has been a Chiropractor in Southington CT since 1994. He manages everything in the office and will provide all aspects of your care. How Does Zone Technique Work? Zone Technique is a healing method developed by the late Dr. Thurman Fleet of San Antonio, TX in the 1930's. 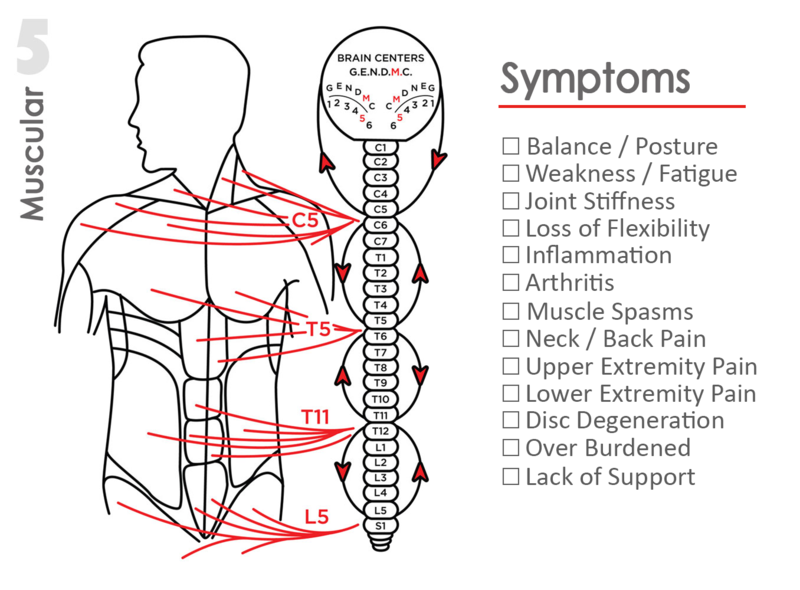 Results are achieved by balancing one or more of the 6 functional Zones of the body via specific, gentle adjustments to the spine. Dr. Rob is one of a handful of Chiropractors world wide who still practices this art today. It's the main reason why he gets such good results, in the shortest time possible - with less expense and more satisfaction for his patients. Yes! If Dr. Rob clearly understands your problem and can safely adjust you, he gladly will on your first visit – why wait to start the healing process? . Regular clients don’t make appointments. They know their recommendations and simply drop in for adjustments when it’s convenient for them. No re-scheduling calls! You’ll appreciate not having to schedule your life around doctors visits. They have morning, afternoon and evening Walk-In Hours throughout the week for your convenience. . When you become a regular client, you’ll be seen on a first come first serve basis. Because you don’t need an appointment, you can easily fit in a quick visit when you want – just like picking up a cup of coffee at D&D’s! At their busiest, you’ll never wait longer than 10 minutes to see the doctor. They’re always aware and respectful of your valuable time. .
No, they won’t make you buy supplements, they don’t sell pillows and they don’t do adjunctive therapies. They just do Chiropractic – plain and simple! . It's true, some clients go regularly for wellness care, but you don't have to. The choice is up to you. You can receive as much or as little care as you feel comfortable with. .
My entire family goes to Dr. Rob. Our backs have never felt better. 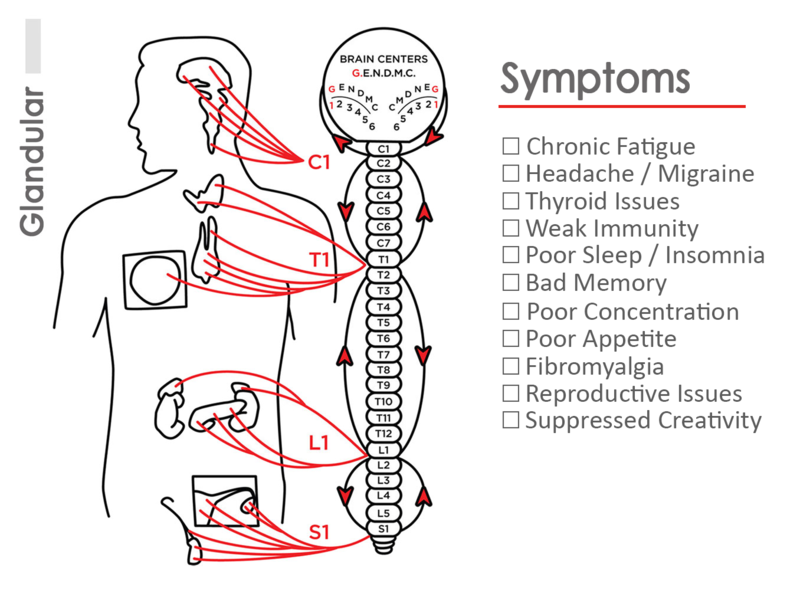 Provides a clear understanding of what treatment is necessary. He is turning me around, I'm optimistic and functional again. 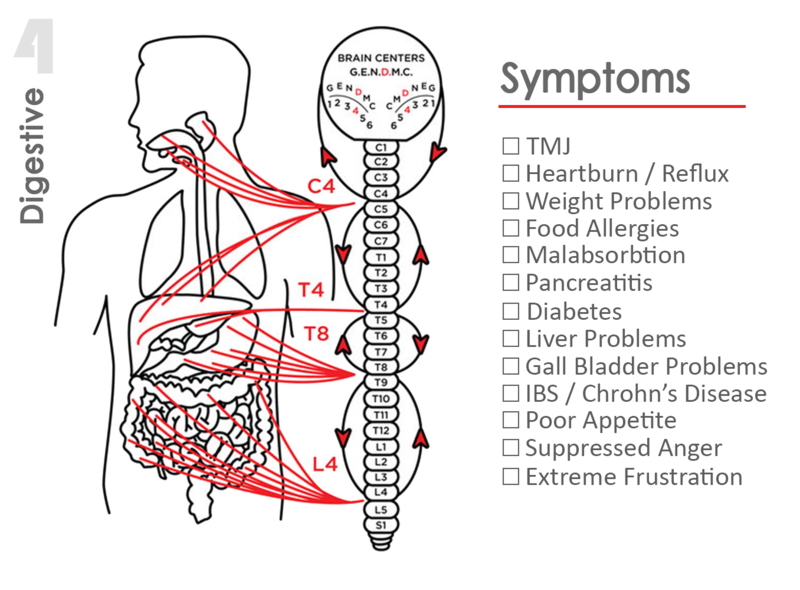 "Are you a health conscious person who wants to find and fix the underlying cause of your problem, rather than continuing masking it with ineffective drugs and medication?